You love them more than anything, but travelling with kids isn't always easy. That's why where you stay is so important, after all, it's going to be your home from home for the next week or two. Keeping the clan entertained while trying to recharge can prove stressful. 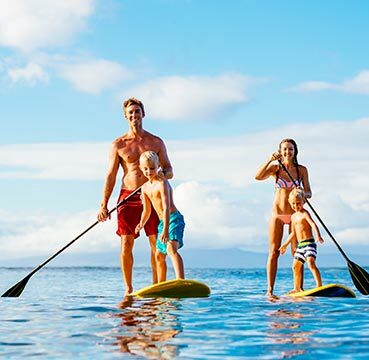 Between fun filled activities to getting the right amount of rest and relaxation, finding the balance for a perfect family holiday is no mean feat. As luck would have it, we might just have the answer to your holiday prayers. Say yes to sandcastles, sun-sizzling golden experiences and unforgettable childhood memories with one of our family holiday resorts. People who say you can't have your cake and eat it have clearly never stayed at one of our Family Holiday Resorts. Here you can enjoy all the benefits of a secluded self-catering stay, while making the most of all the amazing amenities of a hotel – perfect for kids who can't keep still and parents longing to chill. First-class facilities are at your fingertips with communal pools, restaurants, private beaches, spectacular spa facilities, kids clubs, golf courses, sports academies… you name it, our holiday resorts have it. Ample space and privacy means you can still enjoy plenty of downtime together, and you've always got the option to eat out if you want a holiday from cooking too! You may well enjoy a day basking in beautiful sunshine by the poolside, but chances are your little ones will be too excited to keep still. Our Holiday Resorts have a whole host of awesome fun-filled activities to keep any hyperactive kids well and truly entertained. Budding football stars can join in professionally run programmes at soccer schools as part of in-house Kids Clubs. Boys and girls of any age are welcome to make new friends and play on safe and enjoyable 3G pitches. If your little ones favour Wimbledon over the World Cup, then perhaps they'd prefer a knock-about on state-of-the-art tennis courts? 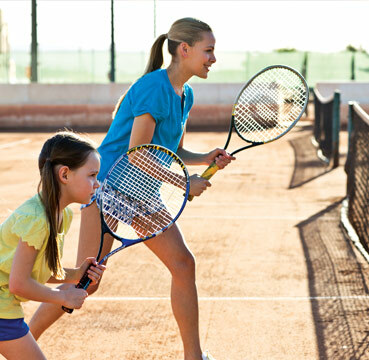 Whether it's a family game of doubles or a session of professional coaching, we can guarantee one thing – they'll be sleeping well after all that exercise! With the kids perfecting their goal scoring, treat yourselves to a pamper day at one of the world-class on-site spas. Just a leisurely stroll away from your villa, a world of relaxation awaits. Every imaginable type of treatment is on offer – from body wraps to couples massages – using only the most exclusive brands. Make the most of every moment of luxury as you simply close your eyes and drift into a state of serenity. The perfect way to spend some quality time together, just the two of you. Self-catering is great for foodie freedom and fussy eaters – but every now and again, it's nice to have a night off. 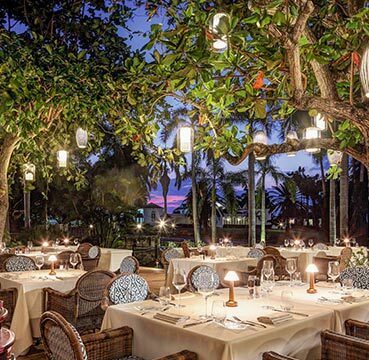 Our Family Holiday Resorts offer up a wide range of food and dining options, from seafood dishes to traditional cuisine and everything in-between. Gourmet meat mealtimes, light snacks and themed buffets are all part and parcel of the menu magic too. Don't want to go out to eat, but don't want the hassle of cooking either? Say no more! Just give the personal chef a call and dinner is served! Family Holiday Resorts have plenty of daily activities and leisure facilities to keep the whole family entertained. From stand up paddle boarding – where you'll soon discover who the least graceful among you are – to abseiling adventures and wet and wild watersports. There are countless chances to share an adrenaline rush or exciting experience together, and plenty of opportunities to grab an embarrassing holiday snap or two. Enjoy the ride with your little ones as you make magical moments that you'll cherish for years to come. Over 55 resorts across 21 destinations means it's never been easier to find your holiday happy place. Whether you're after Spain's sunshine or Florida's thrills and spills, you'll find luxuries your little ones will love across the board… Here's a little glimpse into some of our favourites. 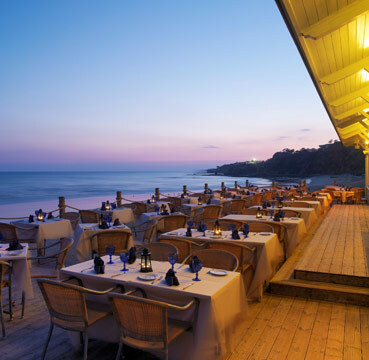 The Pine Cliffs Resort in the Algarve is perfectly perched on cliff tops above the soft white sands of Falésia Beach. Brimming with brilliant sports and leisure facilities for both big and little kids, including wonderful watersports and a world-renowned golf course. Nearby Albufeira makes for a great day out. One of the largest, liveliest and energetic places on the Algarve coastline – you'll find yourselves spoilt with beautiful beaches, delicious dining delights, waterparks and theme parks. It'll be nothing but happy campers all holiday! 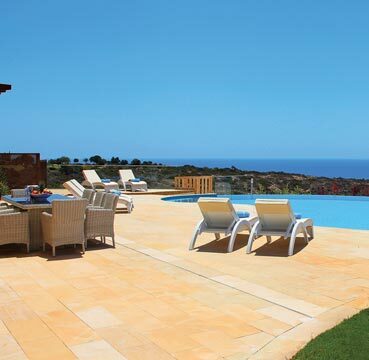 Sitting pretty looking south towards the sparkling Mediterranean Sea, Aphrodite Hills is holiday heaven at its best. An idyllic getaway for families looking to relax, unwind and simply enjoy the pleasure of each other's company. A crèche and kids club give parents those much-needed moments of 'adult' time. Looks like you'll be able to retreat to the spa for a wide range of wonderful treatments after all! Like all holiday resorts, there's plenty to do if you want a break from the sizzling sunshine too. A challenging 18-hole golf course sits among the stunning scenery, not to mention tennis courts and other fitness fixes for exercise enthusiasts. Jump head first into the excitement and adventure of Orlando from the comfort of Reunion Resort. Just minutes away from world-famous theme parks and attractions – it's no wonder it's a firm favourite among families. If the thought of rollercoasters gets your head in a spin, perhaps the natural parks, tranquillity, unspoilt beaches and leisure facilities at La Manga Club Resort is more your kind of caper.